This recipe is a homage to my Luxembourg roots. At home, we’d often have “Ham, Fritten an Zalot” (ham, chips and salad) on Sundays. 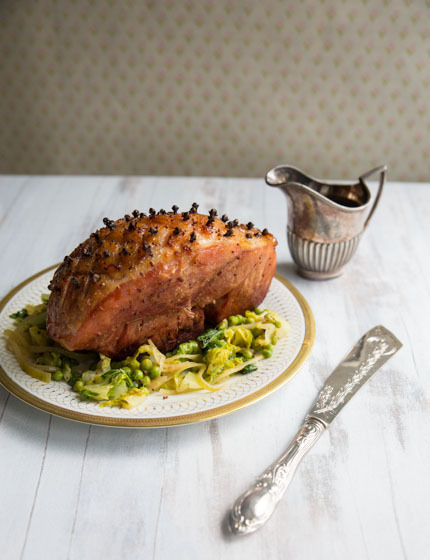 I’ve given this traditional Luxembourgish dish an English twist, by making this amazing baked maple cider ham, and serving it with roast potatoes and coleslaw. 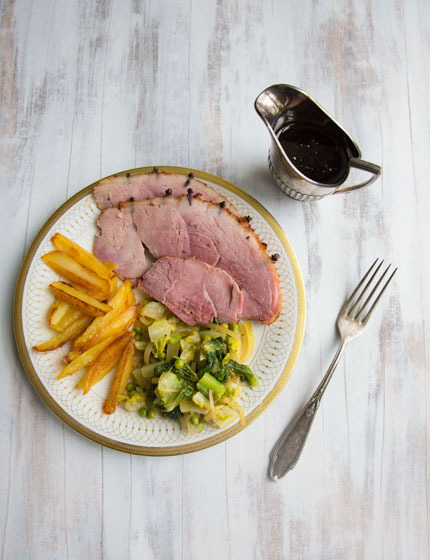 In the UK we use gammon, but you can of course make this another piece of ham and use unsmoked meat if you prefer. Serve with roast potatoes (which you cut into chips) and coleslaw. Watch me make this delicious maple cider ham here.